Coach Fisher Earns Coach of the Year Award: Giving pointers to his son Sam Fisher second round at the 4A Virginia State Championships. 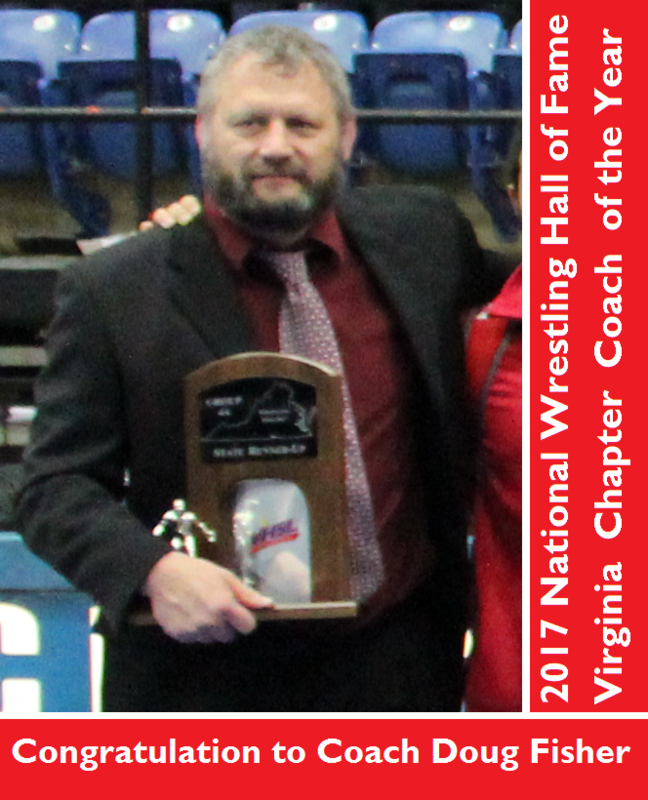 Congratulation Coach Doug Fisher for being named the 2017 National Wrestling Hall of Fame Virginia Chapter Coach of the Year award. Each year since 1990 the National Wrestling Hall of Fame Virginia Chapter has an event where they nominate and recognize a Lifetime Service to Wrestling, Outstanding American, and Medal of Courage which recognition of years of dedication to the sport of wrestling. 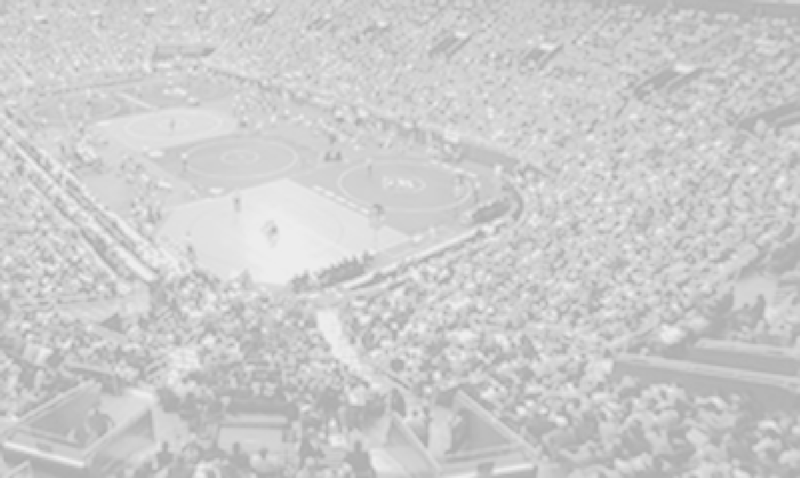 Coach Doug Fisher is a 1996 Penn State graduate and wrestled for the Nittany Lions from 1991-1995. He then started his coaching career as an assistant at Robinson HS for 11 years from 1996-2008 where he helped build the Rams wrestling program with current coach Bryan Hazard. Moving to Fauquier Fisher first served as an assistance wrestling coach for two years with the Falcons from 2008-10 where he then took over the wrestling program in the summer of 2010. The past four seasons team Fauquier under Coach Doug Fisher has won the Virginia 4A State Championship 2x (2015 and 2016) and State Runner-up 2x (2014 and 2017). Since 2010 Coach Fisher also has guided the Fauquier wrestling team to seven Regional Championships and six Conference and District titles. This past season Coach Fisher won his 100th career dual win as he currently has a 108 - 40 all-time win loss record. Coach Fisher also runs an offseason BoPWC – Birds Of Prey Wrestling Club that serves as the team base line training program during this time. 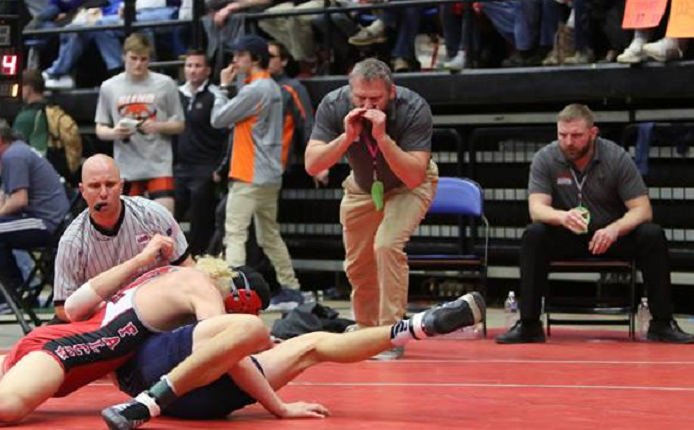 With the sport of wrestling geared to International Freestyle and Greco Roman wrestling through the spring and summer, providing this additional year-round training could be why the High School team success has proven to pay dividends. Coach Fisher is married to Debbie Fisher and has a son Sam and a daughter Stefi. Son Sam Fisher wrestles for team Fauquier and won the 2017 Virginia 4A States title at 160lbs during his Freshman year. Debbie Fisher is a Science teacher at Fauquier HS. Please share with us on how it feels - to be able to be nominated and recognized? Fisher: "It is certainly a great honor to have been selected. I am grateful to have been able to continue to participate in a sport that I am passionate about." I am sure you have more visions for team Fauquier but can you describe the “How” this wrestling program has been able to survive and prosper? Fisher: "We have a great foundation of supporters, parents, coaches and facility that share a common goal which is to provide an environment such that each individual wrestler can reach their God given potential if they so choose."